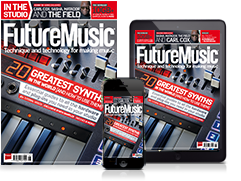 It was only back in March that Behringer first mooted the possibility of creating an affordable Minimoog clone, but it looks like it could be on the shelves in double-quick time. In fact, it’s now available for pre-order from some US retailers. 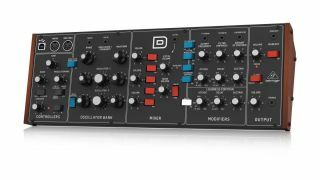 The word is that the Behringer D, as it’s known, will be shipping in September, and that it’ll cost you $300. This is $100 less than was originally suggested. The synth comes as a desktop module and is also Eurorack compatible. In true Minimoog style, there are three VCOs, a 24dB voltage-controlled high-pass/low-pass filter, a noise generator, an overdrive circuit and a glide control. There are standard and USB MIDI ports, CV connectivity and an external audio input. Of course, what we don’t yet know is if the Behringer D will be able to deliver that trademark Minimoog sound. By openly comparing it to arguably the most influential synth of all time, Behringer has made itself a hostage to fortune: time will tell if the D can carve out a legacy of its own.